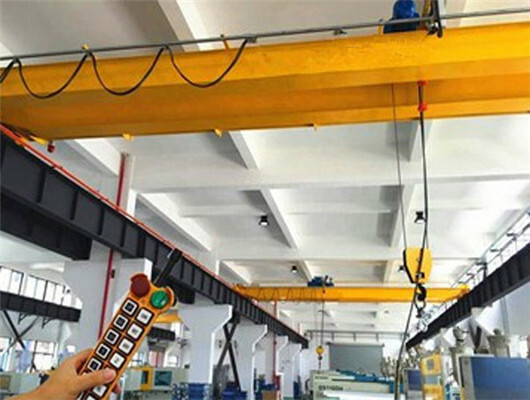 Indoor overhead crane is the most widely used and the most numerous type of crane, and it is also a large-scale equipment that is frequently used indoor to lift heavy or light objects. 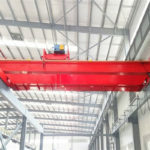 The overhead crane’s bridge runs longitudinally along the rails and the trolley travelling mechanism moves transversely along the track laid on the bridge, which forms a rectangular working area and can fully utilize the space under the bridge to lift the materials. 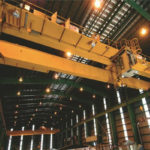 After development of several decades’ years, our firm can produce a variety of overhead cranes. So, in addition to indoor bridge crane, there are some cranes that are widely used in warehouses, factories, docks and open storage yards and outdoor. 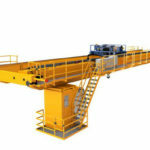 The bridge crane is the important tool and equipment for mechanization and automation of the production process in modern industrial management and crane transportation. Therefore, the product can be widely used in indoor and some special conditions. The production of bridge crane manufacturers is based on the center of “providing quality services for users”. Weihua relies on reputation with high quality, which pursues pragmatic and stable development. The rigorous quality management of our company ensures that each of the cranes can be safe, practical, and beautiful. The type can fully meet the needs of users. In the development of lifting equipment market, at present, our company’s product enjoys a high reputation in engineering and construction cranes. We have achieved full network business alliance certification, which marks our service and management level to reach a new height. However, we still continue to improve our products and strength quality services. If the customers want to learn the crane training or other information, we can meet their requirements. Our group can help them learn these necessary courses. Especially for the more dangerous parts, our experts will make a special explanation. For example, the controller is used to operate the motor reverse and adjustment of each mechanism. The controllers of each mechanism are arranged in front of the control room near the window door. Our staff will help user how to safely and effectively operate these equipment. In order to protect the overload of the motor and make the limit and emergency switch of each mechanism that plays a security role, there is a shaped protection switchboard which is installed behind the control room. The protection switchboard equips with over-current relays, knife switches, fuses and indicator lights, which helps users easily these components. In order to ensure the safety of workers, we install the emergency switch in the control room. When an emergency occurs, this switch can be used to cut off all power. Through special crane training, the users can learn more information about cranes. If they have other questions, you can contact us at any time. We will spare no effort to help you. 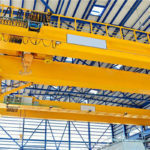 In general, indoor overhead cranes are very common in various lifting applications. Because this product is suitable for all types of cranes for lifting operations, as well as its structure is safe and reliable, the extremely low failure rate is favored by many consumers. Each component of the indoor bridge crane is installed with an independent module, which can ensure efficient transport operations. For the main body of the system module, our experts adopt some special materials, which are not only strong and rigid, but also very lightweight. In a certain extent, this way makes the handling of the equipment very convenient and guarantees the stability and safety of the system. Compared with indoor overhead crane, the outdoor bridge cranes are highly adaptable and can operate in a variety of environments. They have a wide range of applications and are suitable for all parts of industrial production. And its installation is very flexible, the equipment can be installed quickly in the complex production environment of various outdoor places. Because it reduces a lot of installation time, the crane can operate in a shorter time, which improves the overall working rate of the operation chain. 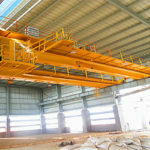 Firstly, the indoor overhead crane has light weight. The modular depiction of crane adopts management of advanced technology. From the hoist, end beam to the main girder, these parts of lifting equipment have compact structure and the weight is far lighter than traditional cranes. The need for the workshop is less and the scope of application is wider. As a result, the cost of building factory or workshop is lower. Secondly, the product has small covering area. It can be very useful for workers to operate the limited space. The clearance between the hook and the wall surface on both sides is small, which is beneficial to extent operation range. There is more working space in the existing plant and workshop. 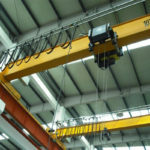 Although the indoor space can be described as smaller, the crane has full function and can be widely used in various sites. Then, the crane has high performance. With the use of variable frequency technology, the overhead crane runs smoothly, which reduces the shaking of loads to a greater degree. It can make loading and positioning more convenient and accurate. It can also reduce the conflict and mechanical stress between crane and factory plans. 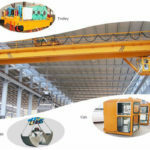 Why to Choose Weihua Indoor Overhead Crane in China? 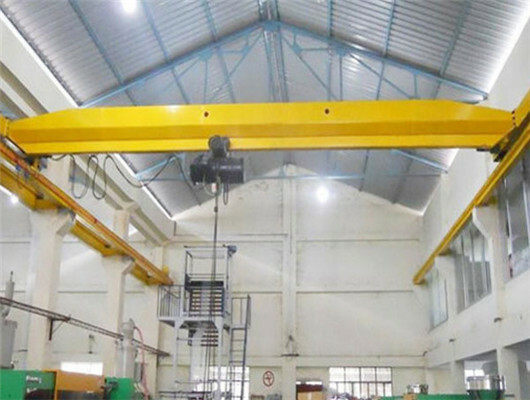 Indoor overhead cranes can operate at some limited range with high lifting height, which actually increases the effective working space of existing factories. 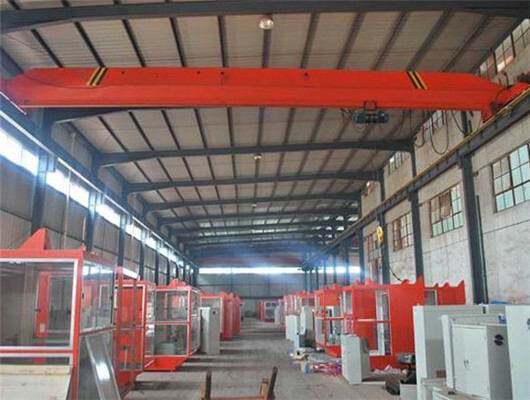 Because the bridge crane has the characteristics of light weight and small pressure, the new factory space can be designed with smaller and more complete functions. The products can be used for lifting, transporting, loading, unloading and installation of materials. In addition, it can accomplish material handling tasks that cannot be accomplished by manpower, which reduces people’s physical labor and increases labor productivity. 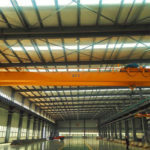 With the increasing scale of production, especially for the demands of modernization and specializing production, various special-purpose indoor overhead cranes have been successively produced such as LD type of electric single girder, LX type of electric single girder, QD type with hook, YZ type with hook, EOT overhead crane and so on. Recently, in many important sectors, indoor crane not only is an auxiliary machinery in the production process, but also has become a production stream. All in all, it is a piece of mechanical equipment that is indispensable on the job line. 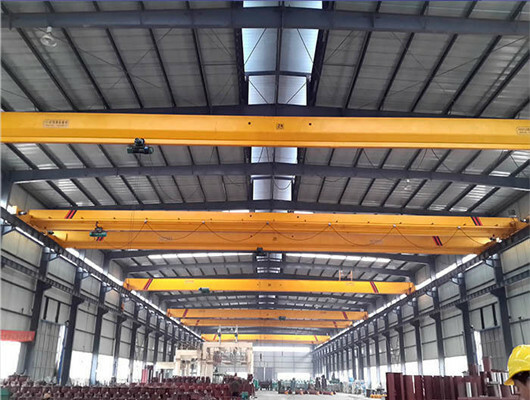 With development of the construction machinery in China, the indoor overhead crane is very popular. Recently, our products have been delivered to over 60 countries, such as Algeria, Australia, Brazil, France, India, Yemen etc. We are leading manufacturer for lifting equipment with more than experience of several decades’ years. 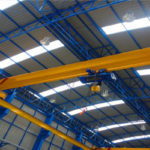 If you are in need of indoor overhead cranes, we will be an excellent supplier for you. Please get in touch with us as soon as possible.